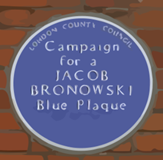 Conway Hall at at 37 Red Lion Square, Bloomsbury, is the home of the South Place Ethical Society and today is a landmark of London’s independent intellectual, political and cultural life. The Hall was built in 1926 on the site of a tenement, previously a factory. The Ethical Society moved here after 100 years at South Place in the City of London, to have a wider range of influence and greater scope for development. help to enable the South Place Ethical Society to continue and increase its work and activities for a fuller and more vigorous moral, intellectual, and religious life…It is the aim of the Trustees and Committee to place at the disposal of the members and visitors from the Provinces, British Dominions, United States of America and other countries, Headquarters in the heart of London, where men and women of advanced thought could meet and enjoy the amenities of social discourse, with facilities for writing, rest and refreshment. The Conway Hall was opened in 1929 and was named after Moncure Conway who led the Society from 1864–1885 and 1892–1897, during which time it moved further away from Unitarianism. 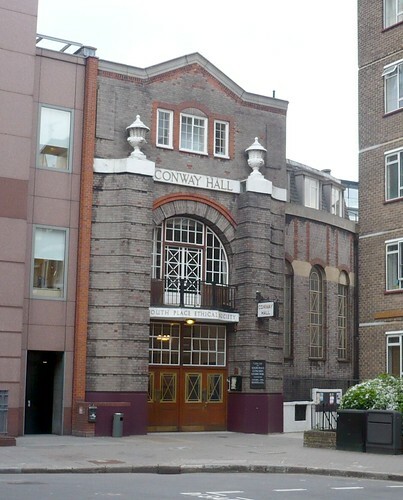 Conway Hall hosts a wide variety of lectures, meetings, classes, performances and community events. The Conway Hall Library holds the Ethical Society’s collection which is largest and most comprehensive Humanist Research resource of its kind in the United Kingdom. Holburn is the nearest underground station to Conway Hall. The Hall is host to a number of public classes and lectures on a wide variety of topics and issues relating to ethics, rationalism, secularism and current affairs.